Full Moon Lunar Eclipse Angel Card Reading! Hey! Melanie Beckler here with your September 16th Full Moon Lunar Eclipse Angel Card Reading. 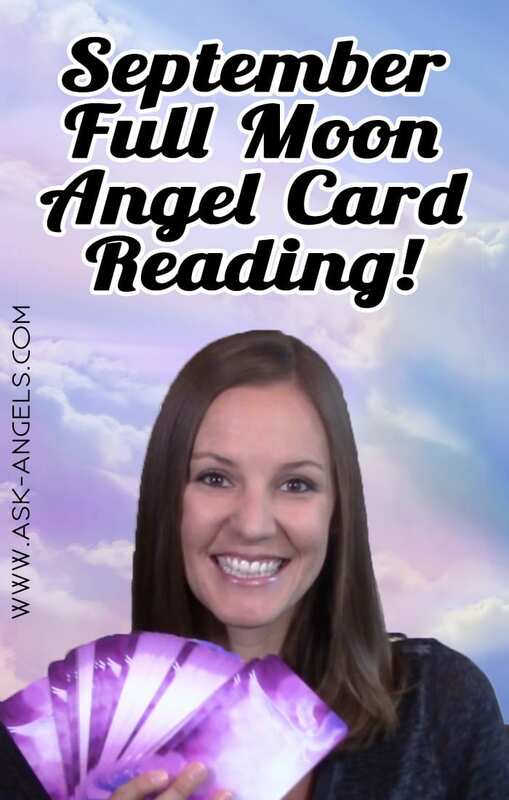 We are going to tune in to the guidance of Angels using the Ask Angels Oracle Cards to receive the guidance and healing frequency and love of the Angels that can most support us now during the energy of the full moon lunar eclipse. To do this… And anytime I do an Angel card reading, I ask that we be surrounded with 100 thousand Angels of healing, love, light, and protection. I now ask that we each be surrounded with divine light and love, and that the guides and angels and ascended masters who can most serve now. 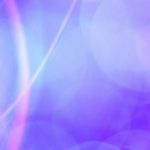 Please enter into this present time and space and assist us in tuning in to the information, knowledge, wisdom, and healing that will most serve, according to divine will, for the highest and greatest good. Please come in, and connect with me now through this Intuitive Angel Card Reading. As I shuffle, I'm just looking for a card that captures my attention. And there we go. Two cards just jumped out of the deck, when cards jump like this it’s a sign that these are clearly the cards that the Angels wanted to draw our attention to. Our first card is “Open your heart with Archangel Michael.” And this card really is so perfect because the energy now is hugely supportive in helping us each to tune in to greater divine love and to flow with that divine love to bring increased creativity and manifestation and new opportunity into our lives. And in order to flow with divine love, we of course have to go within and open our heart to the divine love that’s available and present and surrounding us in every moment, but takes consciously choosing to tune into. Now, focus your awareness in the center of your chest, in the area of your heart chakra, letting your heart open, letting light flow into this area, imagining your heart chakra glowing a brilliant light, expanding out around you, so that you’re completely surrounded with the light of divine love, so that you see and experience life through lenses of love, looking for the miracles and opportunities in the moment, and letting divine love and light guide you each step of your path. As you now continue on your authentic soul path of aligning more fully with the inner light and truth of who you really are as a spiritual being in physical form, the energy now is now encouraging you to shine with more of your truth and more of your authentic soul light. And to do this, opening your heart and tuning into divine love is so incredibly powerful because the energy on and around this time is all about expansion. So, it’s expanding your consciousness, expanding your highest self, and bringing more of that higher self and truth into the physical. And this is all made possible by heart opening, by returning to love, and by letting that love and guidance be your guide, so that you can, just as it’s shown in this Angel card, let your energy blossom like a beautiful lotus flower, awakening more fully to your authentic truth. This card is “Breathe and ground” also with Archangel Michael. So, first and foremost, we know that two Archangel Michael cards popped up which meaning Archangel Michael is with us and willing to help support, protect, and uplift. We just have to remember to ask. And the “Breathe and ground” card brings the reminder that the energy is strong now. You may be feeling extra sensitive. As a part of tuning in to the incredible love and guidance of your heart, you may experience a little extra sensitivity. So, if you're feeling emotional or if you're feeling challenged, let that be okay, let yourself cry, sometimes, tears are the most powerful form of spiritual healing and release of pent-up emotions and feelings you've been harboring within. Let your emotion flow freely, and when you do, letting it pass through you like a storm, rather than trying to hold on to emotions, you're able to move through any challenging emotions and return to the love and presence in the moment. Another incredibly powerful tool to leverage at this time is taking the time to simply be. Life is busy, life is often chaotic, right now, Mercury is still retrograde, so you may be having challenges from the past cycle back around to be dealt with, and communication or traveler things maybe a little bit harder, maybe a little bit triggered and challenged, but the opportunity there is to breathe your way through the challenges, to trust that when a challenge appears, on the other side of it is an opportunity. So, if you're feeling challenged, breathe, ground your energy, reconnect with the energy of earth, with the power in the present moment, because when you’re grounded, centered and calm, when your heart is open and you're shining your authentic light and truth, then all the opportunities of the universe for you, for your unique path and your unique life become available. This is also a time of opportunity. This full moon energy is brilliant for getting clear about your future plans. What do you want to accomplish? What do you want to create? This as a good time to start seeing the action steps you can take to make your dreams a reality. Breathe your way through challenges, stay grounded and centered. Walking in nature, even swimming in the ocean if you have the opportunity, or just taking a salt bath are a great way to cleanse your energy and reconnect with that clear, vibrant part of yourself that in every moment is connected to the earth below your feet, is connected to the divine and the infinite power of the universe. And here you are between, open, willing, receptive, a brilliant spiritual being in physical form. Now is the time to let that light shine, through opening your heart, breathing, grounding and being present. Give yourself permission to let go of other people's ideas of how you should live your life, and rather listen to the inner guidance within. Connect more fully with your inner authentic truth, and let that be your compass, because that, along with the guidance of the Divine and Angels and your spirit guides (that you tune into when your heart is open and you’re grounded and centered and calm), that guidance is what guides you to your highest possible future, to fulfilling your highest potential, living a vibrant, joyful life. Greater, vibrant, high vibrational living is possible for you, and this energy is an opportunity to step more fully into it. Trust your inner guidance, connect with the brilliant light of love that shines within you, and then move forward. Look for the blessings in the world and your life, returning to presence, grounding and returning to love in each and every moment. Know that your Angels, that Archangel Michael, your Guardian Angels, and whatever other Archangels you feel drawn to, are with you each step of the way. Ask for their help, return to the heart-centered space, let your light shine, and take your next step. Have a beautiful full moon, and I'll see you soon! 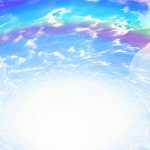 February 1st Weekly Angel Card Reading! Thank you Melanie, I’m desperately seeking grounding and guidance, and even though I know how to meditate, I struggle to make time. Your video encourages me to do what is most important and you remind me of the constant love of the divine God and the Angels and guides Thank you so very much. Thank you for your words and enlightenment. Looking forward to the full harvest moon. Thank you so much Melanie,I feel blessed to have you come into my life!? Dear Melanie you always give a very inspirational insights and I just love hearing you explain to us the messages of the universe. As always, reading your angel card messages have resonated so with me now. Physical manifestations – tingling, tearing up, yawning and now twitching in my throat, which signifies speaking my truth, occurred while listening to this. Thank you, thank you, thank you. I am not sure what is is exactly I am to do but know that it has to do with spreading love and light to help others, and help increase the frequency and vibration of our planet and fellow beings! Love and light to you always! Your reading was beautiful and so relevant at this time. Lovely presenter and great reading. I feel lost in my life now. Your reading makes me feel little better, but I still don’t know what to do and think. Thank you Melanie you are truly inspiring an earth angel your message was beautiful and made so much sense to me. Melanie, thank you so much. This was so inspiring and also comforting. Something amazing happened, as I was watching you I could see white light surrounding you! I’ve never seen that before! Blessings, love and light beautiful soul. Thank you so much…feeling blessed.